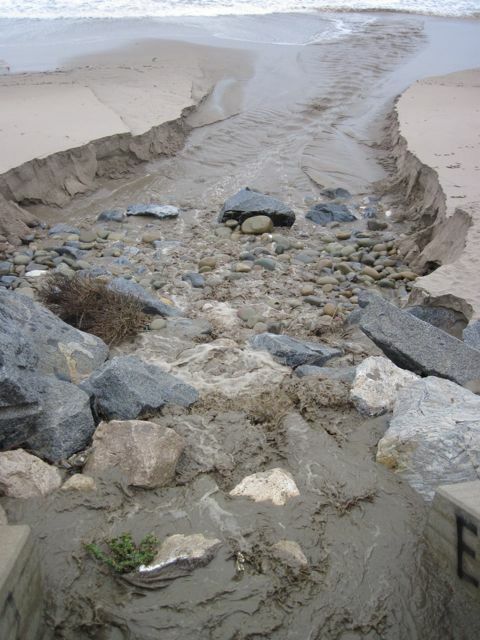 Ventura River Ecosystem: Why is the ocean brown? Why is the ocean brown? Rainfall this weekend was equivalent to what is known as the 'design storm' - we received approximately one inch over a 12 hour period. 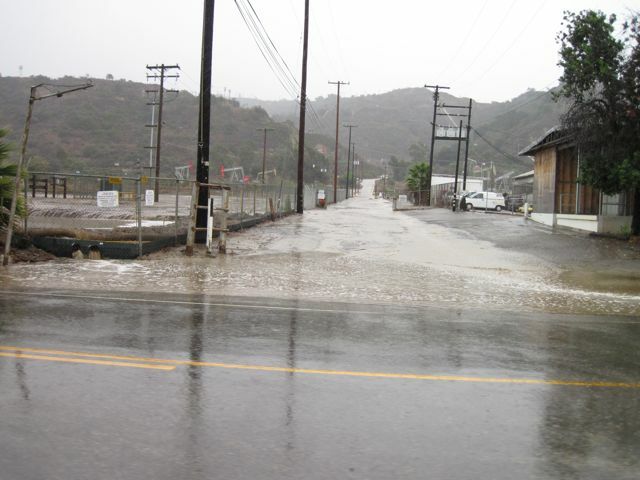 For regulatory and engineering purposes, this quantity of rainfall can and should be retained on site. This requirement is in the Ventura Countywide 'MS4' (Municipal Separate Storm Sewer System) Permit, as a standard that all new development will be held to. The problem, however, is that over the past 100 years our development patterns have directed rainfall off the land, into storm drains, and directly into the river and ocean. 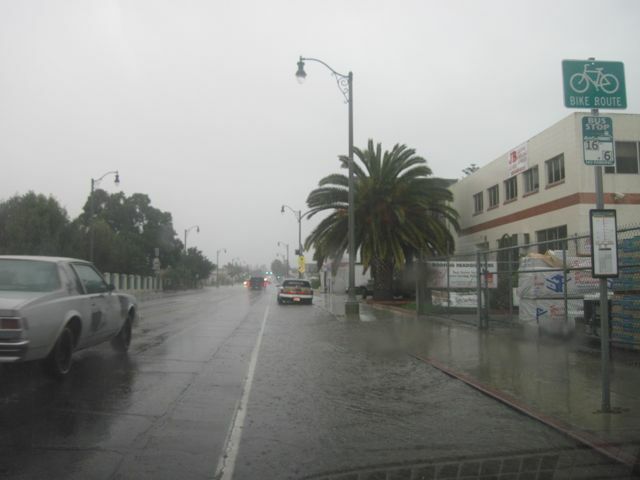 Here's what Ventura Avenue looked like during the rain: the parking shoulder was flowing like a creek. 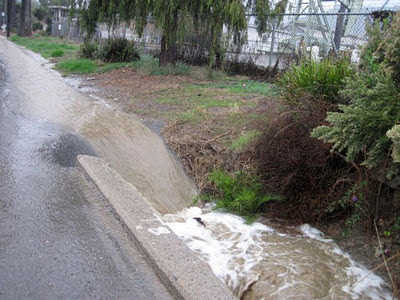 This is an example of Urban Runoff, and the water here is carrying everything from 'dog poop' and trash, to brake fluid and pesticides, into the storm drains and out to sea. ...into the storm drains, and out to the ocean. 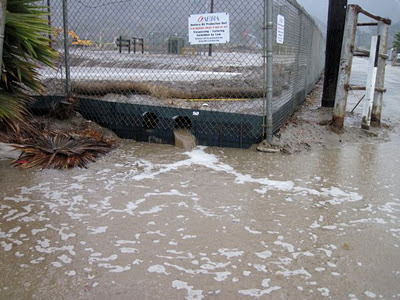 Any chemicals that have spilled or absorbed into the ground are flushed off the land along with this soil. 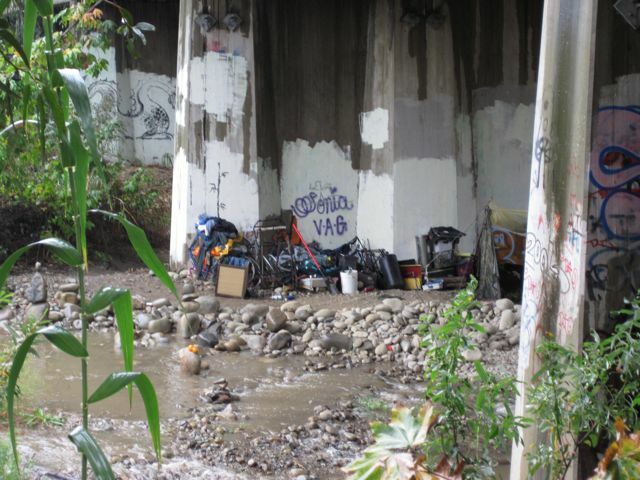 Santa Barbara ChannelKeeper Stream Team volunteers have been sampling this site for a couple of years, and although oil and gas is generally exempt from clean water rules, Santa Barbara ChannelKeeper has been successful in forcing Aera Energy to enroll in the industrial stormwater permit program. This video, starting around 3:20, describes ChannelKeeper's work and illustrates the runoff from this area, and also shows how security guards harass watchdogs, even though this is a public street. As the video illustrates, another major source of pollution agriculture. Both livestock and irrigated crops contribute to water quality problems. One area we have been watching is the recent expansion of orchards and row crops at Taylor Ranch on the west side of the Ventura River. This strawberry field was sprayed with chemicals on Friday, despite the storm bearing down on the region. 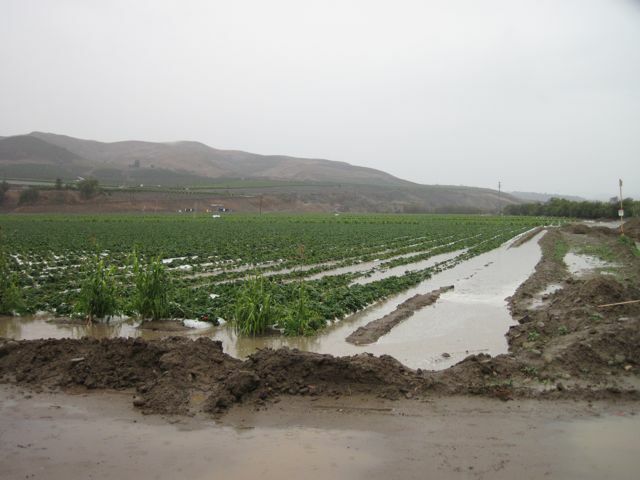 Because conventional strawberry growers use plastic to cover the ground, these fields generate significant runoff when it rains. 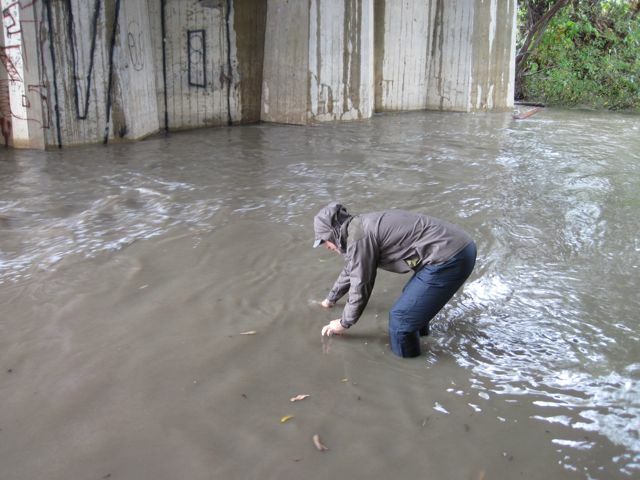 Here a Santa Barbara ChannelKeeper volunteer is collecting a water sample from under the Main St bridge, just downstream of these fields. Note the color of the river water. This sample will be analyzed for pesticides... although a full-suite analysis would likely turn up a variety of pollutants. We also went to look at the runoff onto Emma Wood State Beach from the strawberry fields up on the hill at Taylor Ranch. 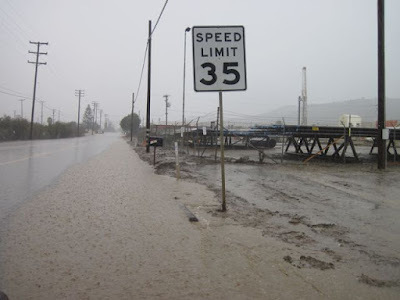 This is a problem we first documented in 2007 when the fields were first developed. 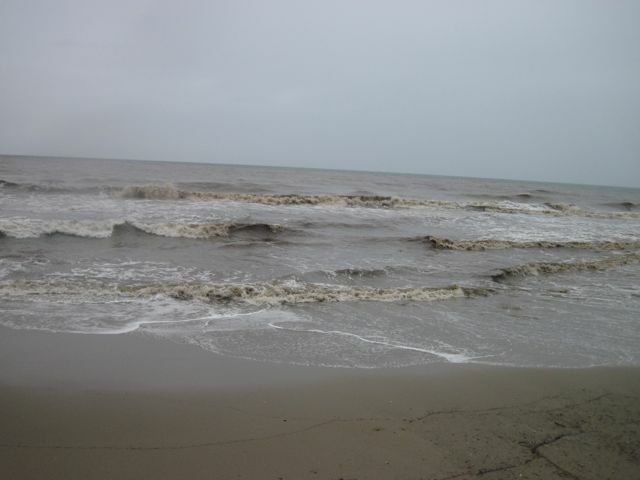 We continue to received numerous reports from beach users, and this photo confirms that runoff still directly enters the ocean from these fields every time it rains. 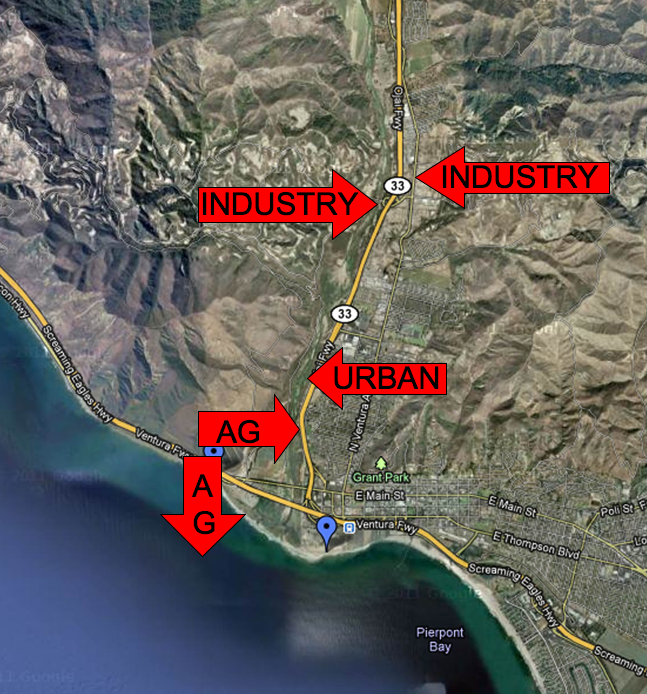 The combination of all these sources, known as 'Non-Point Source Pollution' has a significant impact on our coastal water quality and health of the ecosystem. The fine sediments that enter the river and ocean linger for months, and this is why the water at Surfers' Point often appears muddy, long after the rains have stopped.